Want to Make a Difference with your Career? The future is bright for those who want careers in hospital administration. Due to increasing demand for hospitals, clinics and treatment centers to provide quality care for a larger number of people, hospital administration jobs are growing in quantity. The industry is currently competitive, with hospitals working to earn and keep the qualified candidates they hire. Salaries are booming, with plenty of promotion potential through a career as a medical administrator. Health care management requires a great deal of skill and education from applicants; qualifications typically acquired during an Master’s of Health Administration program. Graduates can expect a challenging career that makes a genuine enhancement in the quality of people’s lives. The field of hospital administration is due to expand fairly significantly in the next several years. The Bureau of Labor Statistics (BLS) gives two reasons for this increase. First, people of the Baby Boomer generation are now in their 50s and 60s. As they get older, their health care needs will grow. Second, the BLS observes that hospitals need trained health care administrators to streamline processes and manage daily functions so that medical staff can meet the higher demand for preventive care and treatment. Since many aging people expect to live longer, healthier lives at home, their need for facilities that provide care outside of a nursing home will also increase. As demand for health care administrators increases, so does the competition for qualified managers. The BLS maintains data on average salaries in the field. As medical and health services management changes to meet upcoming needs for quality improvement in processes, salary grows. In 2012, the median hospital administrator salary was $88,580 per year. By 2014, that number had increased to a median hospital administration salary of $92,810 per year. While these numbers represent a median of all health care managers in various clinics, treatment centers and hospitals, the pay between facility types can be quite disparate. Someone working as a medical administrator in a nursing home brings home a mean salary of $85,730 per year, while someone in management at a specialty hospital can expect an average $116,640 per year for a hospital administrator salary. In short, this is a field with a great deal of salary potential and growth opportunities. People are sometimes surprised by the sheer size of the hospital economy in the United States. In its annual survey, the American Hospital Association records a total of 5,686 hospitals in the U.S, of which about half are not-for-profit community hospitals. While these numbers might not be particularly impressive, data on the accessibility and use of these hospitals shows the increasing need for hospital administrator jobs. In all these hospitals, there are 914,513 staffed beds. Each year, people are admitted to U.S. hospitals over 35 million times. The expenses for all U.S. hospitals total about $859 billion, which explains the pressure on hospital administration to make processes more efficient and eliminate unnecessary waste. To land a job in health services as a medical administrator, applicants are encouraged to pursue a Master’s of Health Administration degree. In their studies, prospective health care administrators are expected to cover a variety of subjects, including accounting, human resources, ethics, law, and health administration. This broad spectrum helps to describe the kind of skills and knowledge that hospital administrator jobs require. In particular, applicants must be current on all topics and trends in health care administration, adept in their use of technology, detail-oriented, engaged in problem solving, and comfortable in a leadership role. Some hospitals give preference to prospective administrators who also hold a nursing degree or medical degree, but this additional education is not typically compulsory. With a combination of training and experience, people who work in hospital administration can enhance the way hospitals are run. Depending on the demands of the job and the 24-hour nature of hospital work, people may be expected to work nights, weekends, or irregular shifts. Employees in the industry with a great deal of talent and experience along with a good work ethic may eventually be promoted as a health administration executive. While professional certifications are not necessarily required in a hospital administrator job description, there are a few certifications available in the hospital administration industry. Anyone who wishes to become a medical administrator in a nursing care facility must maintain a license in accordance with their state. In addition, the Professional Association of Health Care Office Management offers two certifications, the Certified Medical Manager and the Health Information Technology Certified Manager. The first certifies a person to act as a health care administrator in a sole provider clinic, while the second notes that the certification holder has demonstrated expertise in a variety of health care technology systems, a vital skill for the industry. The American College of Health Care Administrators provides two certifications for management of nursing care facilities, including Certified Nursing Home Administrator and Certified Assisted Living Administrator. These certifications can be used toward state licensing requirements. The appeal for varied institutions that can provide care to all different kinds of patients with a range of needs means that specialized facilities will continue to grow. At the rate the industry is booming, people can search for the job that really speaks to them, in an area that more accurately suits their career goals and expectations. The major increase in demand for hospital administration jobs comes largely from reforms to the Centers for Medicare and Medicaid Services (CMS). This government institution created a new set of standards in 2005 as a means to ensure that hospitals were maintaining high standards for patient care and case management. The federal government cannot dictate how privately-owned hospitals are run, but CMS can deny reimbursement for treatment for Medicare and Medicaid patients for hospitals and clinics that do not meet CMS quality standards. 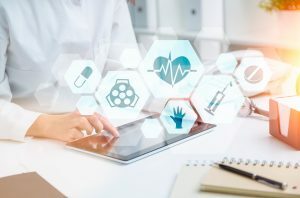 CMS requires that relevant health care facilities provide evidence that they meet specific benchmarks for medical records management, patient data acquisition, and long-term health care outcomes. Changing standards for hospital efficiency and patient outcomes means that hospital administrators have more power than ever to change lives. The American College of Healthcare Executives (ACHE) notes that the industry is likely to change and grow over the years. Despite mergers and acquisition of institutions and facilities within the field of health care, the need for effective hospital management remains strong. In a recent study by ACHE, health care executives observed that management needs and opportunities at freestanding hospitals are steadily increasing in number and importance. This change demonstrates the awesome power medical administrators have to influence people’s lives, because the day-to-day business of the clinic, treatment center, or hospital improves people’s health and their ability to function in their normal lives. Ultimately, satisfaction in hospital administration jobs is dependent on the person who holds the position. However, the evidence shows that a medical administrator can select from all different kinds of jobs at a growing variety of institutions. They command a salary and industry growth rate much higher than the national average. As a result, people in these positions retain more power over their career paths for the duration, whether they wish to be promoted into a position as a health care executive or have ambitions to make more lateral moves into other relevant industries. Those who wish to hold a job in business management can choose almost any industry they like. However, as the health care field of hospital administration continues to advance, the number of hospital administration jobs also grows. Hospitals need college graduates with the skills to change processes and improve efficacy and quality of care. To do this, students need a Master’s of Health Administration, experience in the industry, and the desire to make an impact on health care. This education and experience prepares graduates for one of the many jobs available in health care administration. Whether applicants choose to become a medical records administrator or they have their sights set on a health care executive position, they know that they are helping people to live better lives. 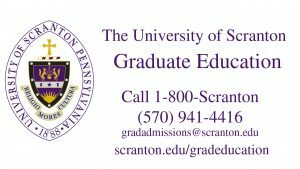 To learn more about the Master’s of Health Administration program at The University of Scranton, click here.